How are your marketing efforts standing up to the most prevalent obstacles properties face? Is your property able to withstand a new product in the market, additional competition, resident retention decline, etc.? If not, your marketing strategies are likely missing a few key elements with the potential to withstand new challenges. Apartment marketing is changing, and it’s time to bring your marketing efforts up to speed. Let’s go over three key areas your marketing should focus on and see how it could transform your marketing strategy. Your brand is more than your logo or even the colors you choose to paint walls around your property. Your brand is the vibe that anyone feels when they step foot inside your community or click through the pages on your website. What does “vibe” mean? Take a brand like Starbucks. When you think of Starbucks, you probably think of your favorite coffee beverage or of a homey place away from home where you can meet a friend to catch up or get some work done. Starbucks works hard to maintain a welcoming, homey, and friendly vibe across everything their brand touches. In the same way, your marketing efforts need to communicate your property’s vibe. Think of the standard gallery section of just about every apartment website: photos of vacant gym equipment, an empty pool, community areas lacking any sense of the members of said community, and so on. These images are essentially the glamour shots of what is at a property, and neglect to show any sense of the property’s humanity. They do nothing to help a potential resident imagine what life would be like there. Today’s renters are seeking a sense of realness and community — so what do you think an image of an empty pool gives them? Maybe it’s time to reevaluate the vibe you’re conveying in your marketing. Be authentic — showcase the personality of the community thriving at your property — and see how residents and prospects respond. Once you have a vibe or a message to convey, you need your prospects to see it. Traditional student housing marketing hopes your prospects will find you — but why not make it easier on them? By targeting your exact demographics with a variety of media outlets, you’re able to position and keep your brand and property at the forefront of their minds. There are multitudes of media available that lend themselves to creating an effective campaign that will help your message resonate with your residents and prospects. Once you’ve defined your target audience, it’s time to craft a compelling campaign for your property, and then implement it across the media your audience is using. Your campaign should stick to consistent messaging and creative across all media. Some media to consider are print, social, email, and online. Print tactics can include running ads in your local city or school publications, mail to prospects and guarantors, signs and banners on site, or flyers to pass out at the property or at off-site functions. A good idea for print executions is to include a URL to a website or landing page that contains more information on your campaign. In fact, all your campaign pieces should point to a common goal — whether that’s going to a landing page or stopping by the leasing office. Make sure your messaging is consistent. The possibilities are basically endless when it comes to online tactics. Targeted display ads will alert prospects of your campaign wherever they are online, and retargeting campaigns provide additional reminders. Social ads and targeted emails are another outlet that targets prospects right where they spend a majority of their time. Not only that, but these are shareable, meaning they can easily forward to or tag friends, roommates, or family to notify them of your property or campaign. With targeted marketing, there is no need to hope your prospects will stumble upon your property on ILS or Internet searches. Don’t leave the success of your marketing efforts to chance — put your property or campaign where and when your residents and prospects are most receptive. Now it’s time to break away from the limitations of what’s traditional or expected. Push the boundaries! Go where other apartments aren’t yet going. In this day and age, there are so many ways to push the feeling of realness and authenticity in your community in a way that will help your residents and prospects understand what life is like at your property. Videos allow the viewer to feel like they’re experiencing your property or message firsthand, but why stop there? Imagine what you could do with a video drone or a virtual reality device to enhance the experience of your audience. How about adding an extra layer to your location page on your website that highlights local hotspots, bike trails, parks, and more to give a sense of what it’s like to live at your property? The point is, take a risk; don’t be afraid to be different. 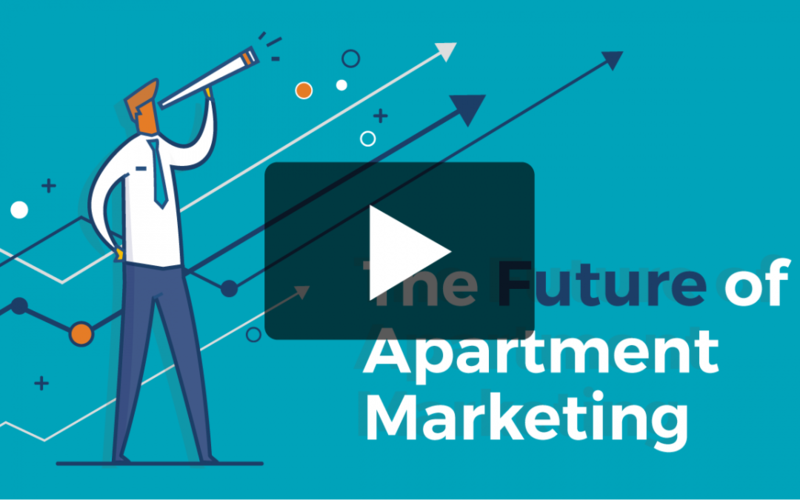 The future of successful apartment marketing might sound daunting, but really, it’s simple. It’s using three key areas — brand, reach, and engagement — to enhance and communicate the authenticity of your community in order to connect with your prospects. Have questions? Want to learn how these ideas could affect your property’s success? Get in touch with a Catalyst marketing expert today!